There are times when I’m really excited about seeing a movie only to finally watch it and realize it’s garbage. Fortunately, there are also times where movies are better than I expected them to be, no matter how excited I am. Ever since watching the trailer for David Lowery’s Ain’t Them Bodies Saints, I was set and ready to watch it. Of course, it takes me forever to finally getting around to watching a movie, but I have gotten to it at last. I was really worried that this movie was going to let me down, but luckily it’s a refreshingly gorgeous looking movie with an interesting take on the Bonnie and Clyde type of story. Ruth Guthrie (Rooney Mara) and Bob Muldoon (Casey Affleck) are two young lovers who make their living as thieves. When one particular robbery turns violent, and Officer Patrick Wheeler (Ben Foster) is shot by Ruth, Bob puts an end to the shootout and gives himself up, saying he was the one who shot the officer. He does this so Ruth can stay free and give birth to their baby girl, Sylvie (Kennadie and Jacklynn Smith). Years later and as promised through letters to Ruth, Bob escapes from prison and begins making his way back to his family with hopes that they can run away together and start their lives over. What Bob doesn’t realize, however, is that that way of life has become distant from Ruth, who is now dedicated to raising Sylvie. When Bob does finally return to town, he brings with him his dangerous past and a lot of dangerous people. Like I said before, I was really worried that I was going to hate this movie because I’ve been so excited and set on watching it for a really long time. I do that to myself a lot, but this one met the high bar that I set for it. It’s not only a movie about crime, but also about love, maturing, and finding what is truly important in your life. The film also succeeds at feeling like a sort of western movie, the main characters being thieves on the run. David Lowery also seems to have a keen sense on how to use subtlety and metaphors to make his story even stronger. For example, Casey Afflecks character can be seen as a metaphor for Ruth’s past, a past that’s trying to make its way back into her life, even though she knows it’s time to look forward. Watching and listening to this movie is an experience all its own, even if you take out the story. Bradford Young, the cinematographer, is known for using mostly just available light to light a scene, which is not an easy thing to do. There are parts in this movie when Bob and Ruth are walking through fields with the sun shining right into the lens. This lighting makes these scenes feel unearthly, like something you’d fine on the heavenly plane. The music also adds a lot to the movie and follows the same form of subtlety that I mentioned earlier. It’s quiet and atmospheric but still has a Western vibe when the scene is appropriate. Probably the main draw I had to this movie at first was the cast. 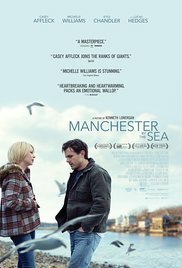 As far as actors go, Casey Affleck, Rooney Mara, and Ben Foster all stand out as outstanding performers. Casey Affleck actually gave one of my favorite performances as Robert Ford in The Assassination of Jessie James by the Coward Robert Ford. He proves himself more than capable once again in Ain’t Them Bodies Saints, and that goes the same for Mara and Foster. Rooney Mara nails the role of playing someone at a difficult transitioning point in her life, and you can’t help but sympathize with Foster’s character for trying to be a good person in world that’s easily corruptible. 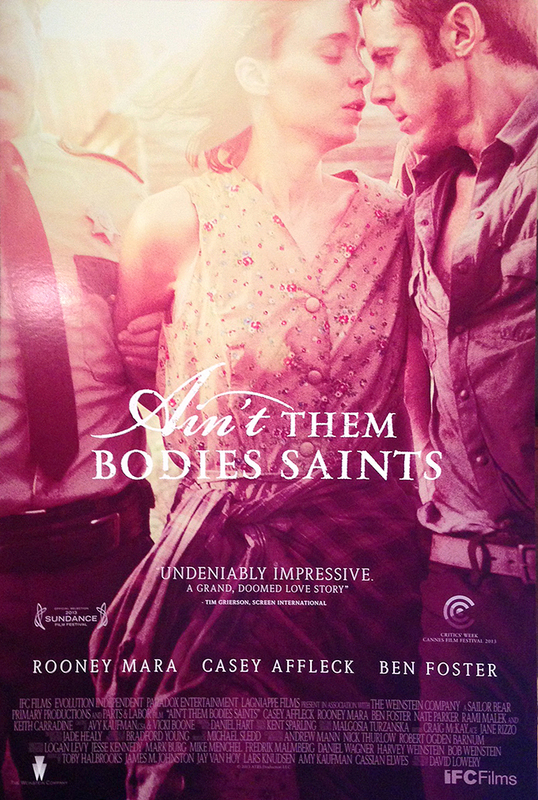 I can now breathe a sigh of relief knowing that Ain’t Them Bodies Saints didn’t disappoint me. It’s a modern retelling of a classic story that blends genres together that often times couldn’t seem farther apart. Everything from the beautiful cinematography, the ambient score, and excellent performances by the entire cast makes this movie not only an emotional ride, but one hell of an entertaining film. Ain’t Them Bodies Saints doesn’t get nearly as much attention as it deserves. Ben Affleck’s career has had plenty of ups and downs. As far as acting goes, he hasn’t really established himself as a critical success. Sure, he’s been in a lot of blockbuster movies, but a lot have been critically panned. As far as a writer and director, he has had much better luck, most recently with his Academy Award winning film Argo. His directorial debut, Gone Baby Gone, is also a deeply moving film with incredible characters, stunning realism, and powerful decisions where there may not actually be a morally decent choice. In a close knit neighborhood of Boston, four year old Amanda McCready is kidnapped, causing a media circus. Patrick Kenzie (Casey Affleck) and Angie Gennaro (Michelle Monaghan) are hired to work in unison with a police task force run by Captain Jack Doyle (Morgan Freeman). Along with Detectives Remy Bressant (Ed Harris) and Nick Poole (John Ashton), the private investigators dig deeper and deeper into the seedy underworld of the neighborhood in order to find out who and why has this young girl. As more secrets are uncovered, Patrick and his team learn that Amanda’s mother Helene (Amy Ryan) has more enemies and vices that she originally led everyone to believe, putting all involved in finding the girl in a much more hopeless and dangerous situation. A style that Affleck seems to use with great skill is one that can almost be compared to Italian Neo-Realism. Everything looks very natural and real. Now, calling Gone Baby Gone a work of Neo-Realism would be very farfetched, but there are small comparisons. For one, many extras and smaller character roles are simply neighborhood residents that were chosen to be in the movie. Also, many interior shots look naturally lit and dim. These aesthetic choices puts the viewer into the environment of the city so deeply that everything seems more close and intimate. In a story that involves such real elements as the kidnapping of young children, family turmoil, and pedophilia, it’s much more effective to give the environment a more realistic look. That, and this entire film was shot on location. Affleck did the same thing in his later film, The Town, which also gives the viewer the pleasure of being thrust directly into the mise-en-scène. As for the more accomplished actors, all of the performances are spot on. Casey Affleck, as always, delivers a wonderfully in depth performance as a a troubled man, torn between different versions of morality. Michelle Monaghan, who isn’t in much of the movie, gives a solid performance as well that is on par with Casey’s depth. When the two are together, the chemistry feels perfect adding a layers to their history, which we unfortunately don’t know much about. The performance that seems to stand out, however, is Amy Ryan who was actually thought to be a Boston native on the set, and wasn’t allowed in. She is so deep into her character that it never feels like you’re watching an actor perform. That’s the real test of a professional actor, and she succeeds very, very well. 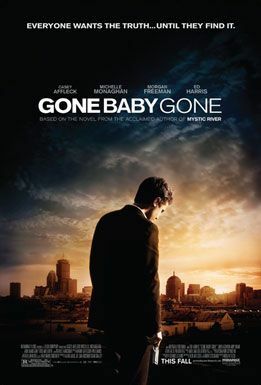 To connect Gone Baby Gone with Neorealism one more time, the characters of this movie are the lower and middle class workers who are just trying to survive with what was given to them. Relating to these people is easy, even though some of them don’t quite reflect the better side of society. They all seem like average people, even the characters played by more recognizable actors. The theme also doesn’t provide much hope for everyone. A characteristic of Neorealism is the feeling of being little in a much bigger world, and the inability to not really change the bigger picture. In Gone Baby Gone, the viewer notices this in the characters. As much as everyone tries, the problems just keep getting bigger and bigger. It’s a movie with very little hope, despite all of the efforts. Some may call this a depressing movie, and they would be right. It is. By the end, you find yourself asking more questions than when the conflict was originally presented, but not about the plot, but about your own morality and what is really right and wrong. The heroes and villains in this movie are not definite, save for a few particular characters who are downright dreadful. 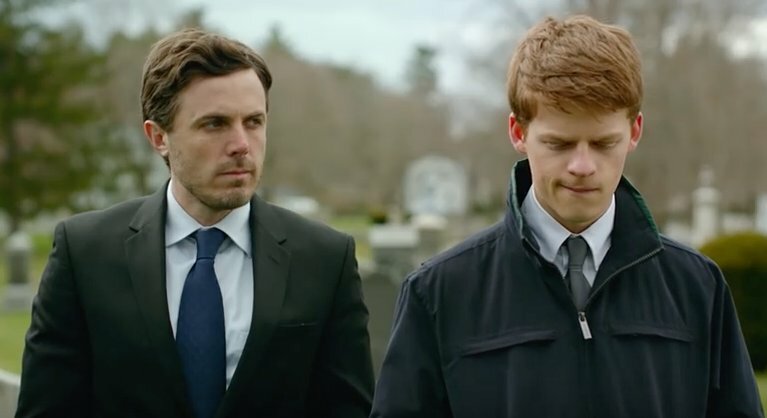 The questions asked in this movie are not easy and the controversial subject matter is difficult to stomach at times, but Ben Affleck and his cast and crew have created an undeniably moving piece of cinema that should be required viewing. It shows a dark, but all too real side of life that can not be ignored. To me, Good Will Hunting is an example of an almost perfect movie. Almost every aspect of this piece of work fits wonderfully into place to create a moving, personal, yet funny coming of age story. The cast is excellent and the dialogue is superbly written. There are a few plot devices that keep it from reaching new filmic heights, and that’s very unfortunate concerning the rest of the movie. Will Hunting (Matt Damon) is a janitor at MIT who is housing a very special talent that is discovered by Professor Gerald Lambeau (Stellan Skarsgård). Will is proficient in all kinds of math and has a vast amount of knowledge on history, literature, and art. Pretty much the whole intellectual package. The problem with Will is that he lacks the motivation to use it, a problem that seems to be deeper than Will originally thought. Lambeau recruits help in the form of Sean Maguire (Robin Williams), his old college room mate who has had problems getting ahead himself. Together, the two men will dig deeper into Will’s subconscious, guarded better than Helm’s Deep, to find out what is really holding him back. Saying this movie has a definite point A to point B plot wouldn’t be giving the film any justice. Damon and Ben Affleck have crafted an excellent screenplay that isn’t only about Will’s hidden potential. It’s about Will and everyone else that is affected by Will’s ability. This mainly is a coming of age story, but it’s also a story of how one person can have such an affect on someone’s life, even if they aren’t in it for very long. It’s an age old story that is perfected by Damon, Affleck, and director Gus van Sant. When I say that this is an age old story, I really mean that it fits a very specific formula. Right when the movie started, I pretty much knew exactly what was going to happen. I could call how and when the low points were going to happen, and when the solutions to these problems came along, I was not surprised. I’m not trying to say that all movies should be shocking or bring something new to the table, but I think following a dramatic formula to a T should be avoided. I will say that Good Will Hunting takes this formula and through its exceptional performances and writing makes it something special. This movie set a new standard for how these kinds of movies should be made. What makes a film like Mallrats so special? It’s pretty conventional when it comes to its plot, but its characters and dialogue are what makes the movie great. Good Will Hunting does the same thing. Matt Damon and Robin Williams’ chemistry are excellent and you can forget you’re watching two actors playing a part. Stellan Skarsgård and Minnie Driver also give excellent performances. Casey Affleck may have a small part, but definitely outshines his brother, Ben. Good Will Hunting may not be perfect, but it certainly is better than the average drama. The characters and their chemistry burn greatly and their dialogue is whip smart. Thankfully, the movie never gets overdramatic, and there is always some comedy to give us a breath of fresh air after an intense scene. This has become a modern day classic since it was released in 1997, and it has aged very well. If, by some chance, you haven’t seen this movie, definitely give it a watch. It’s inspiring on many different levels.